Packaging Trends 2017 — Energy Sciences, Inc.
As a result of the expanding global population and rising income levels, the demand for packaged food and pharmaceuticals is growing. This increased demand brings more competition for brands and packaging manufacturers. Digital print is being utilized to customize packaging in order to draw the consumer's attention and flexible packaging is becoming the standard. For brands, printers, and packagers, access to state of the art printing and ebeam curing machines make it an exciting time to be in the industry. From May 4th-10th, 2017 ESI will be attending Interpack 2017 in Düsseldorf, Germany. Interpack is a packaging industry tradeshow that focuses on all packaging sectors, their growth, and the latest trends and technological advancement in the industry. 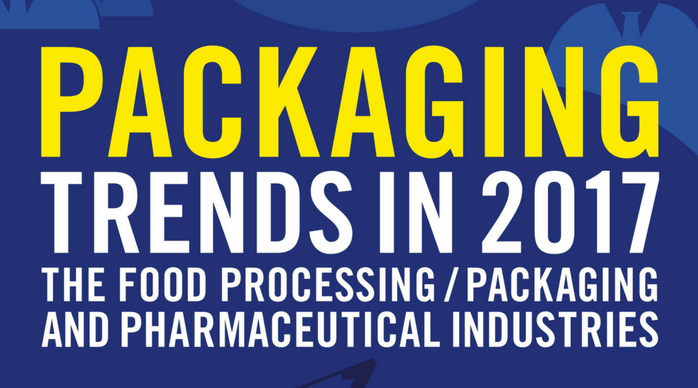 As a precursor to the conference, view the infographic below for a brief overview of packaging trends in 2017. Toyo Ink and ESI are hosting an EB Seminar at Interpack 2017. The seminar will touch on electron beam curable flexo inks, EB flexo presses, and EB curing equipment. Due to limited availability of seats, the seminar is held on a strict pre-registration and invitation basis. Thank you to all who attended these seminars on May 5th and May 8th. If you have any follow up questions, or are interested in how ebeam can provide a solution for your business, click the button below to request an assessment.